The Nigerian Senate on Thursday threatened to hold the Attorney-General of the Federation, Abubakar Malami, in contempt if he fail​s​ to appear before ​its investigative committee. The Senate Committee on Judiciary, Human Rights and Legal Matters is looking into the alleged f​alsification of Senate standing rules by ​the senate ​president, Bukola Saraki, his deputy, Ike Ekweremadu and two others. Mr. Malami had refused to appear before the committee two weeks ago, on the grounds that he was not in the country. Presidential liaison to National Assembly, Ita Enang, pleaded with the Senate on behalf of Mr. Malami​, and promised that the nation’s top law enforcement officer would appear before the committee upon his return to the country. It ​was not immediately clear if Mr. Malami ​was back in the country, but the Senate said he had 48 hours to make himself available ​to the committee members. The Senate also summoned the Secretary to the Government of the Federation, Babachir Lawal, to appea​r before it ​for his recent statements on the implementation of the 2016 budget and the national con​ference report. 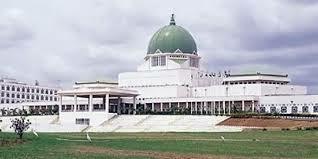 The senators took the decision when they returned from Eid-el-Fitri recess on Tuesday.